FREE for all to participate. 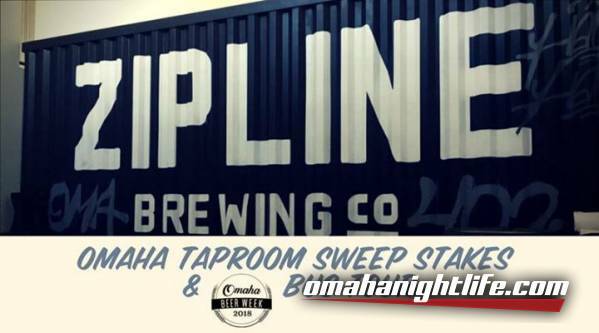 Zipline Sweep Stakes is your opportunity to participate in a give away of some sweet local fair every hour. You will also be able to imbibe in our newest Small Batch Release, Experimental IPA while anticipating your chance of winning one of 5 amazing prizes. 6:00pm a free Zipline Barleywine '15-'16-'17 Bottle Vertical. You get to choose which sweep stake item that you would like to be eligible for by throwing your raffle ticket into a "hat" corresponding with the prize that you are hoping to win. Each prize will then be awarded at the end of its coordinating hour of availability. You must be present to win. Regularly one of Omaha Beer Week's most popular events, the Craft Beer Bus Tour returns for 2018 with four unique routes that will allow you a chance to explore every corner craft beer touches in the Omaha Metro area. We are on the East Route this year!